Spending the last few days with my brother. 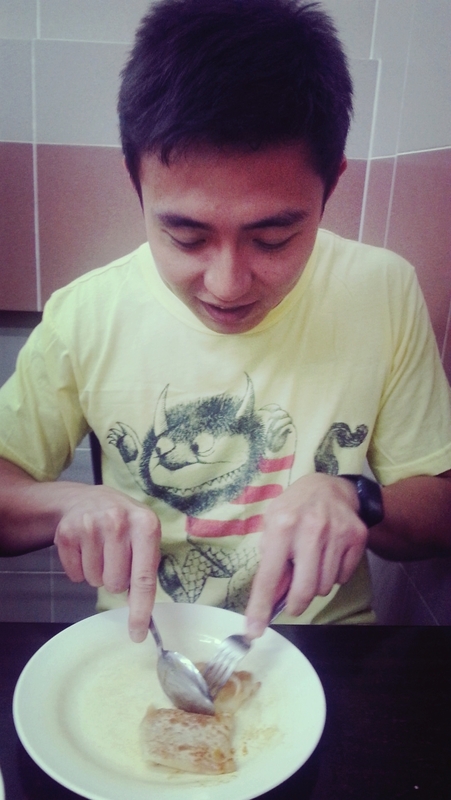 Here he is digging into his favourite roti canai. 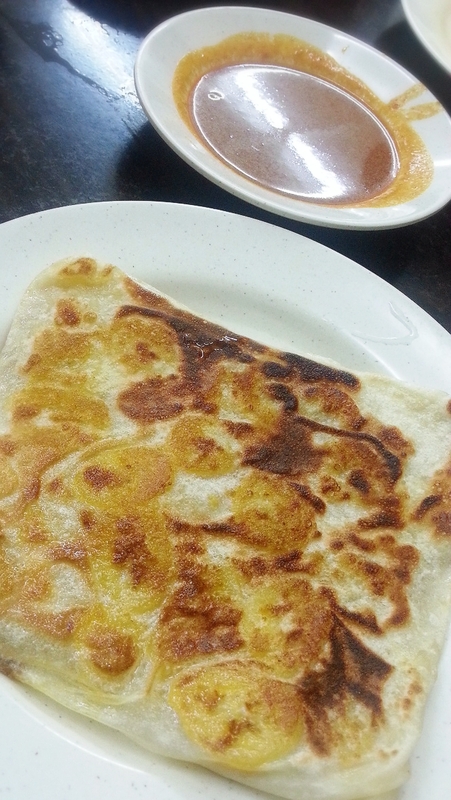 He ordered a roti bawang and a roti kaya, both very good! I had roti pisang (banana) for the first time. It was a bit odd at first eating it with curry, sweet and savoury but very yummy. 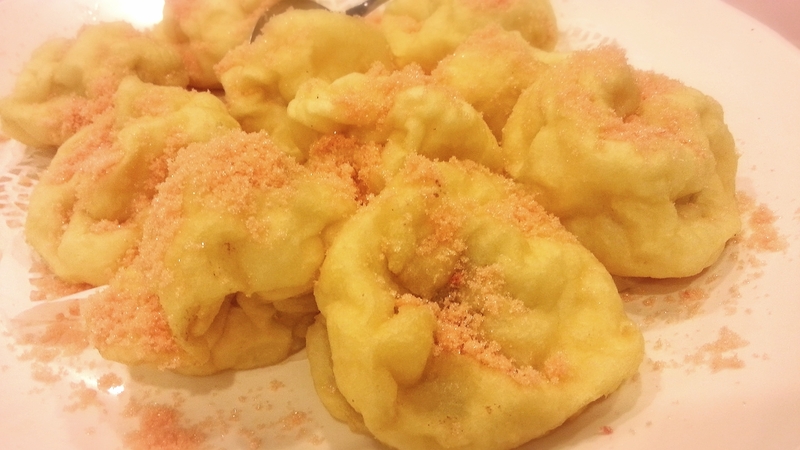 My favourite ‘sa yong’ puffs sprinkled with sugar for dessert. So good. This will probably be the last sa yong that I eat for a while (so I had three! ), *sob* no more sa yong until my next return to Kuching. 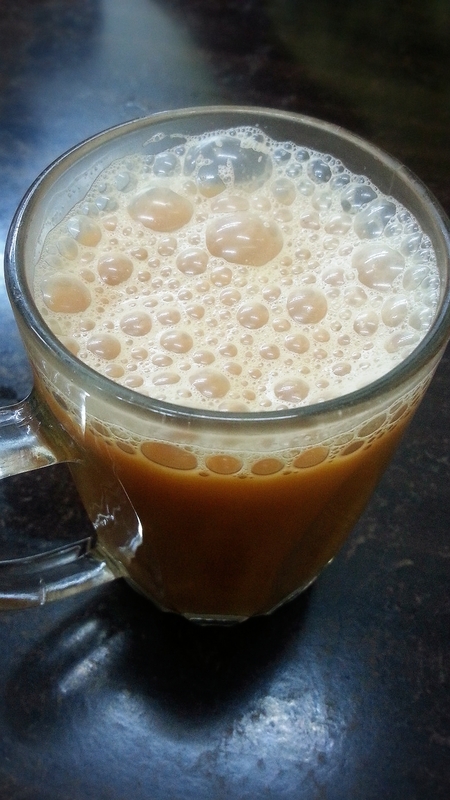 Teh tarik which we had with the roti canai. Not too sweet and very fragrant. 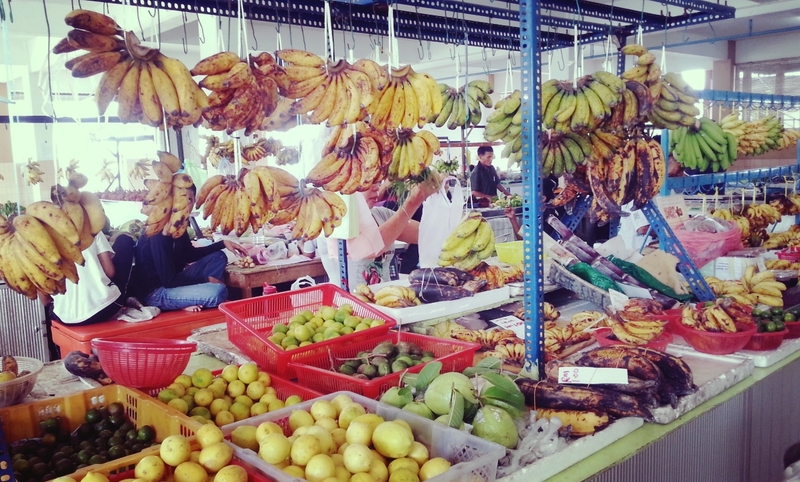 I love exploring the wet markets in Kuching. This is stutong market which had lots of great food stalls. 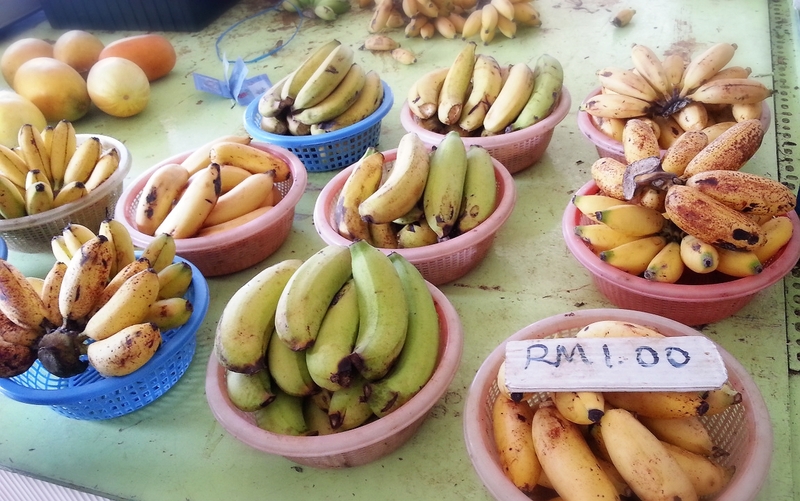 Why are the bananas in Malaysia so much better? 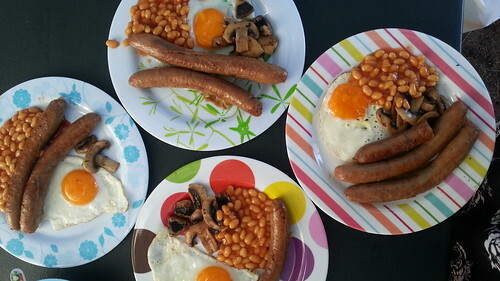 Makes for much better banana fritters/goreng pisang too! 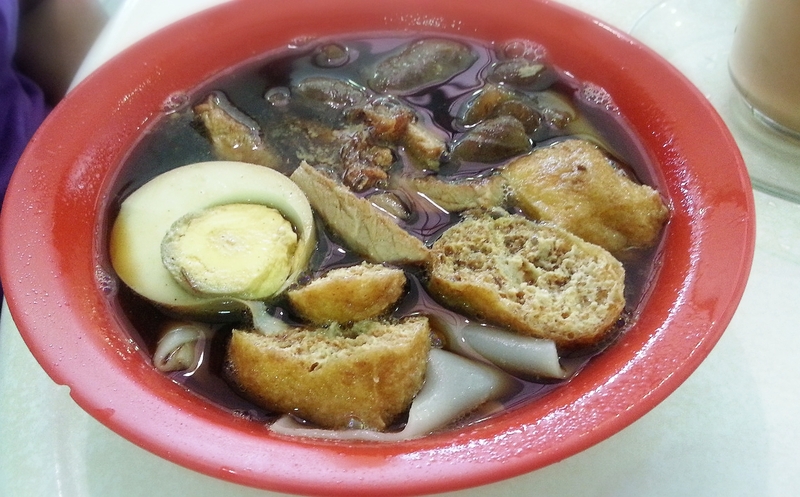 Kueh chap from Stutong market. This was my mother’s lunch which she said was pretty good. My first kolo mee in Kuching! Also from Stutong market, it was very good. Ok that’s all for now, Happy New Year in advance! 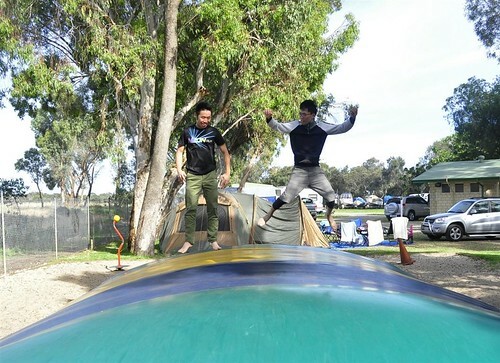 A very belated post of our second camping trip also around the Mandurah area but this time at a different camping site, the Mandurah Caravan & Tourist Park (522 Pinjarra Road, Mandurah). This time we only went for a weekend so I took the train up to meet the guys at the site where they had everything already set up hehe. It was a nice spot and very popular with families (swimming pool, playground and good facilities), not as idyllic and peaceful as our last spot but better in the sense that we got a lot more shade and were nearer to the amenities. Lots of birds around our area! 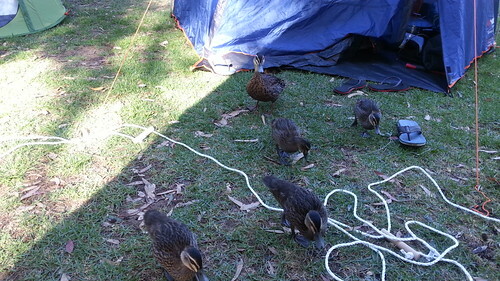 The duck family came visiting in the morning. They were not shy at all. 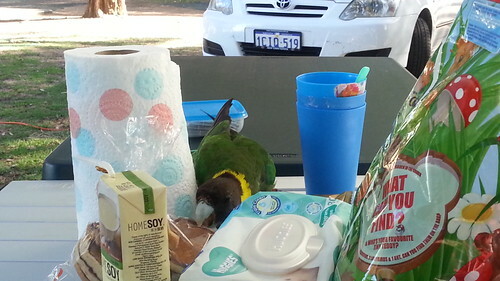 The Australian ringnecks were also very brazen and hopped up to our table for some breakfast. I had to save Tristan’s breakfast from his fast beak. 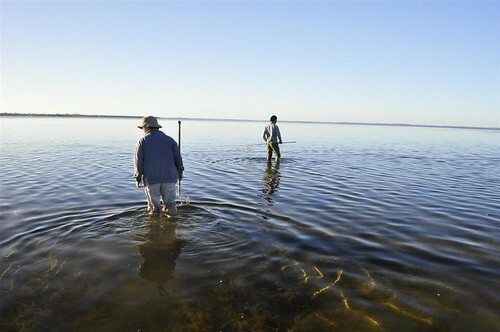 The boys go crabbing which is what Mandurah is famous for. 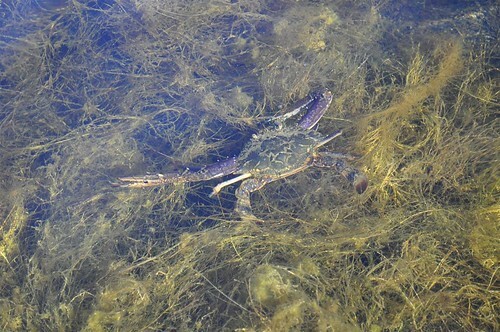 Crabs in the water. But sadly, we didn’t manage to catch any full sized ones. 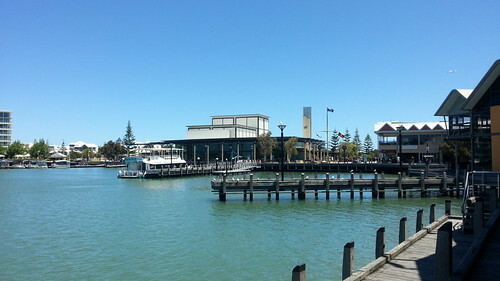 This time we explored more of the Mandurah town centre. Lovely perfect camping weather. It was Perth at its best. One of my favourite photos this year. Tristan and his yee zhang R. He looks a bit apprehensive and I think he was because Yee Zhang hardly ever carries babies so this was a rare shot. Tristan turned 2 earlier this week! 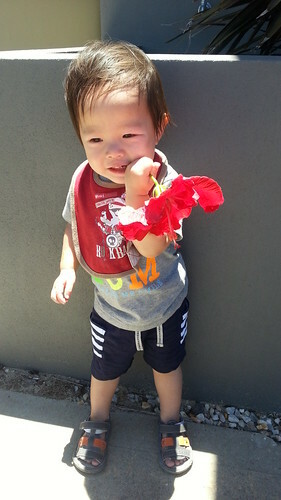 He is turning out to be a happy, cheeky little boy who likes nothing better than to dance and sing. 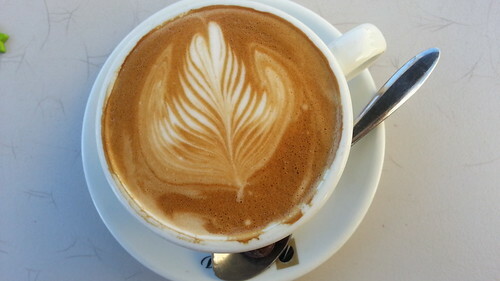 I still treasure all my weekend coffees and this one was a nice one from Decadent C’s, a lovely chocolate and cake laden cafe that we found by accident (25 Husband Road Mandurah). It’s very family friendly with nice grassy lawns and a playground for the kids. 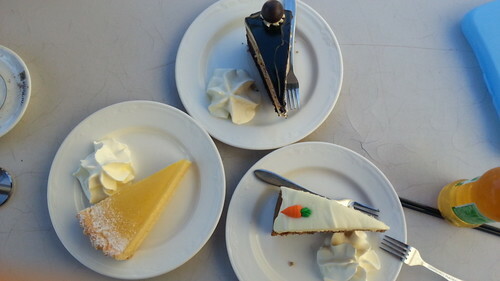 The cakes were delicious too! Definitely returning if we end up camping around the area again. 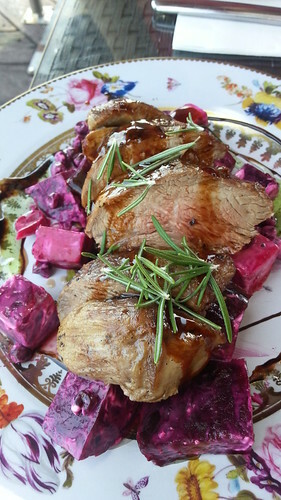 Sunday lunch at Catch 22 (U1/ 4 Zephyr Mews, Mandurah) which is located by the waterside. 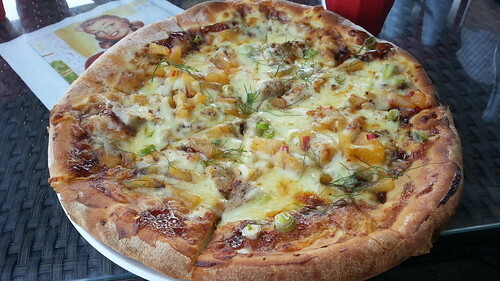 It felt like the perfect weather and location for a pork belly and pineapple pizza, this one was ok. Jo and Ming Sian both ordered the lamb which came with beetroot and fetta. While the food at Catch 22 wasn’t outstanding, it made up with being located on a scenic spot which was perfect to end our sunny camping trip. The boys having a go at the inflatable pillow at our campsite haha. 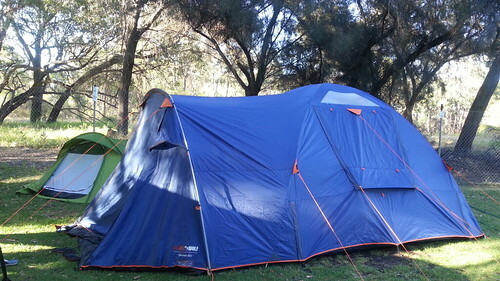 Our next camping trip will be at Swan Valley (not sure how it’s possible that we are camping even closer to home this time) and I’m already looking forward to our wine tasting and cheese galore hehe. I think there will lots more camping in 2015! I’m watching Michael Bublé’s Christmas concert on tv now, such a cliche but I do like Christmas songs and also Bublé (=^____^=). This year’s lead up to Christmas seems particularly joyful and fun. Maybe it’s because I’m just really hanging out for a holiday after such a tough and challenging year. Or maybe it’s because everything seems to be finally drawing to an end and I feel like I’ve actually managed to achieve a couple of goals this year! That’s not bad for a procrastinator. 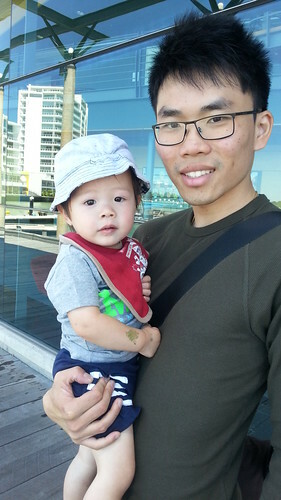 But deep down inside, I know the reason why I’m really feeling the festive season this year is because more of my family is here in Perth, and especially, the kids are here. I love being able to spoil them with Christmas gifts, I relish being the favourite aunty who can buy them forbidden sweet treats, and most of all, I love being able to watch them grow up and being part of their lives. Since they’ve been around, my life feels so much fuller and meaningful, yes, I love being daitaoha yee yee, it’s the best! Sorry for the hiatus, we have been internet-less for the past couple of weeks which in all honesty, I didn’t mind too much. We’ve been for another camping trip since then which was lots of fun. The above is one of my favourite photos from the trip, R and Tristan bonding haha. I will blog soon I hope. Christmas wind down has begun at work and I’m really enjoying the slower pace. Just counting down to the holidays now, woohoo :).